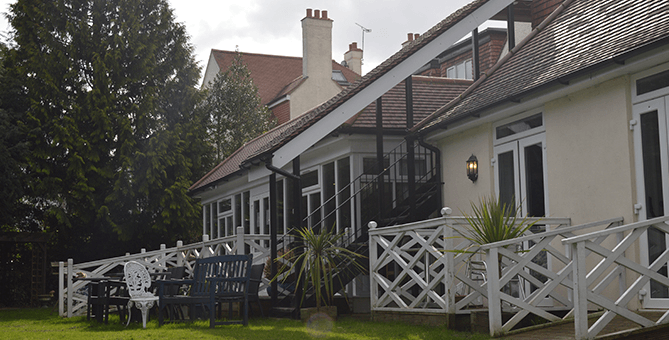 Is anyone near to you is in need of a good Nursing care home in Wimbledon? If yes, then we can help you. St Judes Nursing Home is a family owned, registered nursing home, which provides excellent care for the elderly. Sometimes, it becomes very difficult for even family members to take proper care of elderly members of the family. Moreover, some of your near and dear ones may require inpatient treatment. In either case, we can help you. We provide nursing care home in Wimbledon in a homely environment, mainly for the elderly people. Our highly professional staffs at St. Judes Nursing Home provide all the support and care that that old age people might require. We provide our services with compassion. We hire staffs who have already worked in nursing care home. You understand the kind of help old people need. Depending on someone may lead to feeling weakness. So, we provide personal care to them with a lot of sensitivity. We have a chef, housekeepers, in-house accountants and an experienced manager who looks after all the services we provide and ensures smooth running of the nursing home in Wimbledon. We receive a lot of positive feedback from the family members about the efficiency and kindness that our team shows towards the residents. Our location and accommodation make us one of the best service providers. All the rooms are equipped with modern facilities, such as, nurse call bell system, flat screen TV's. The rooms have been recently redecorated and are well furnished. We ensure that the rooms are personalized as per the choice of the residents. For those who are suffering from physical disabilities, there is provision of wheelchairs, passenger lifts and stair lifts. We have some beautiful gardens where our residents can perform various outdoor activities. For example, you can take a walk, have tea outside and also enjoy gardening and pottering. All and all, our nursing care home in Wimbledon provides peaceful and enjoyable experience for all residents. We understand the medical needs of residents. As such, we provide person centered care (PCC). This becomes possible because we have an excellent team of registered nurses for delivering medical facilities. At St Judes Nursing Home, we are very careful about the safety of our residents. Our general practitioners visit the nursing home and examine the residents and then provide treatment to them accordingly. We specialize in dementia care. In case some medication is required, it is also provided by us to the patient. Mealtime is given a lot of importance as well balanced diet is essential for the residents, but we ensure that the food is delicious and suits each residents taste. We have recently redecorated our dining room like a restaurant with new menus. If any resident wants to eat something which is not in the menu then there is provision for that as well. We provide excellent English breakfast. Fresh fruits are provided through the day. During tea time, cakes and biscuits are provided as per choice of residents. All these features make us a preferred choice among those who need a nursing home in Wimbledon. Our motto is to provide all the services but with a smile!